Enterprise grade phone systems have to strike a balance between simplicity and the race to give new features to users. Adding too many features might look good on paper but it may over complicate the GUI for end-users and even administrators. On the other hand, simplicity can make it easy to use but it also means you won’t have detailed records or fine-grained control over settings. The ability to compile and analyze call records is practically a basic feature offered by every VoIP solution in the market. Like caller ID or voicemail, it has become an integral part of the enterprise VoIP systems. The ability to generate reports and analyze call records is needed for most organizations – especially contact centers, sales departments or customer support teams. But is the level of control over call records that we have at present sufficient for everyone? Is there no room to improve or innovate when it comes to call records? 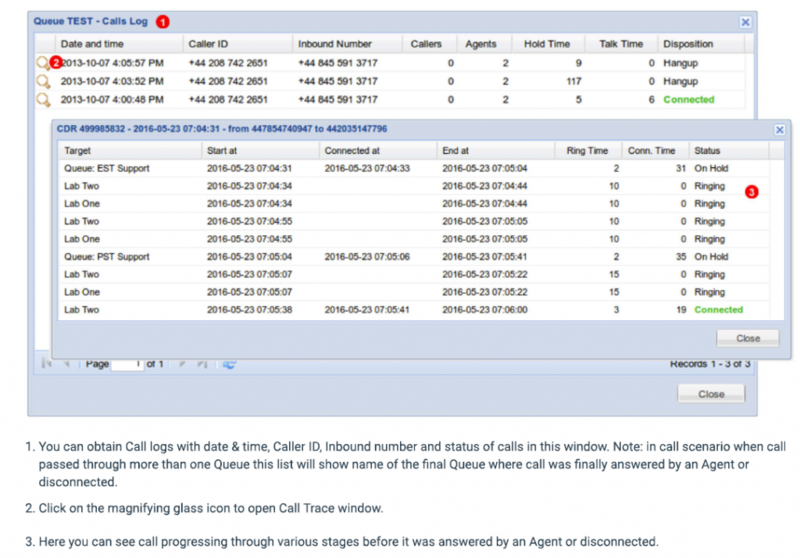 A brand-new feature in VoIP studio called a call log goes beyond compiling call records in different ways. Most call record features include details such as when the call came in, the final queue when the call was answered, duration of the call an employee name. But sometimes just seeing the duration of the call or which agent handled the customer does not give enough information to the enterprise. Suppose your organization needs more information to improve customer interactions, call trace log can help. This feature allows a business to identify all the various stages that a particular call passed through before finally being answered by any agent, redirected to voicemail or disconnected. So a typical sequence might indicate that a call was on hold for 10 seconds, answered by an employee, transferred to another department before being finally disconnected (without their problem being resolved). Another caller may have just bounced around in the IVR queue before going to voicemail, even though the business has a policy of a person should always answer a customer call. What does the above information convey to a business? In what way can it be of use to busy executives? After all, a feature is useless if it does not provide some value to the business regardless of how technically brilliant the implementation is or how innovatively it is used. Quite often it is not enough to know that a call was answered 35 seconds after it started ringing in the final queue. Sometimes you just need to know more detailed information for troubleshooting issues, improving customer interactions, reducing call wait times or even redesign the entire system. A common enough metric used in many customer service departments is how long it takes for an employee to resolve a particular issue for a customer. But that is not the only metric by which the efficiency of the system can be evaluated. Maybe your support center is able to resolve calls within a few minutes but customers still complain because they have to spend 15 minutes being passed around by employees before reaching the correct person. Sometimes the problem can lie in other parts of the system that cause users to get disconnected while the are on hold. Identifying and diagnosing the issues can be difficult if you don’t have the relevant information. Call trace log can help with that. By analyzing information provided by this feature, an organization may find new insights that can be used to improve customer interactions or diagnose unresolved issues. For instance, suppose a large number of calls are getting disconnected before reaching an employee. The company may not be able to isolate the reason from just call records. Managers are aware of the fact that customers get disconnected but they’re not able to diagnose why. With information gleaned from analyzing hundreds of calls, the root case can easily be identified. In this case it may be something as simple as complicated IVR queues that are confusing the customers, so that they end up disconnecting the call out of frustration. Of course these are not the only situations that can cause problems. In fact call trace log can often provide data that points to much deeper issues in other parts of the company. Suppose the trace logs for calls on certain days shows that customers are being transferred too often between various departments. This may point to an underlying issue where the support agents don’t have the necessary authority to resolve common problems, thus leading to the bouncing around. 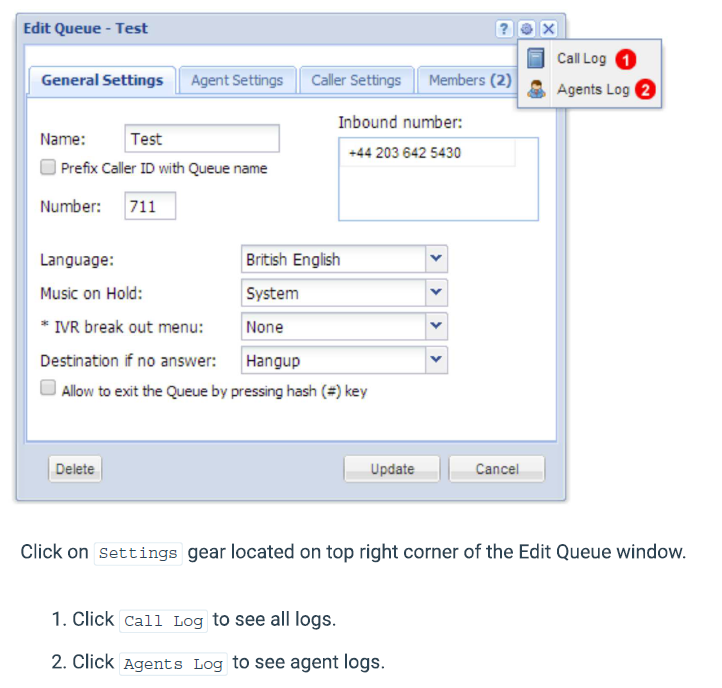 Unlike many other features usually found in VoIP systems, call trace log doesn’t need to be turned on. It is a part of the call log feature and easily accessible by clicking on the magnifying glass icon on the same screen. It can be used to quickly look up the call history for any call in particular. On the surface, call trace log might appear to be an over engineered or needlessly complicated feature that no one will actually use. But it a simple to use tool that can greatly help organizations solve problems that they did not know they had. The problem may be quite a straightforward one like why customers spend so much time on hold or something that goes much deeper than that. But whatever the problem might be, additional data always helps and call trace log provides just that.